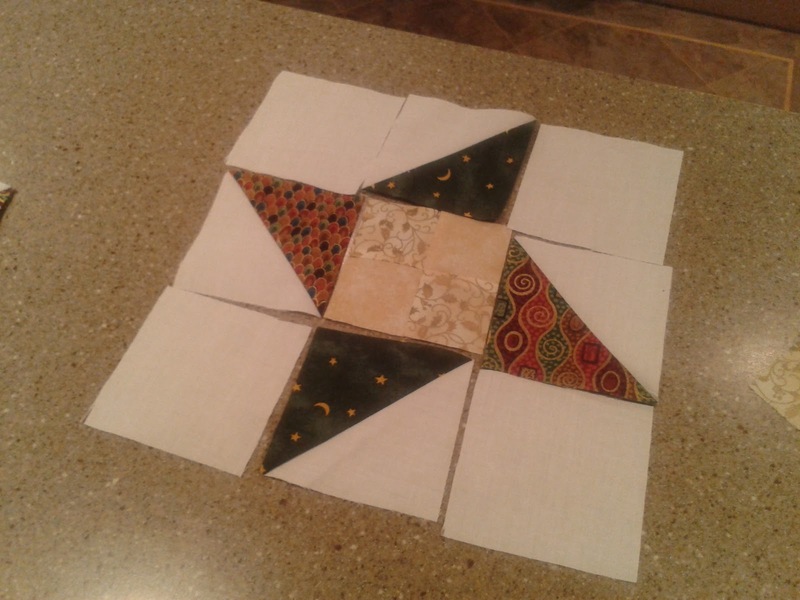 Hazel's Quilts: Mystery Quilt Layout? Well this is a fine game! 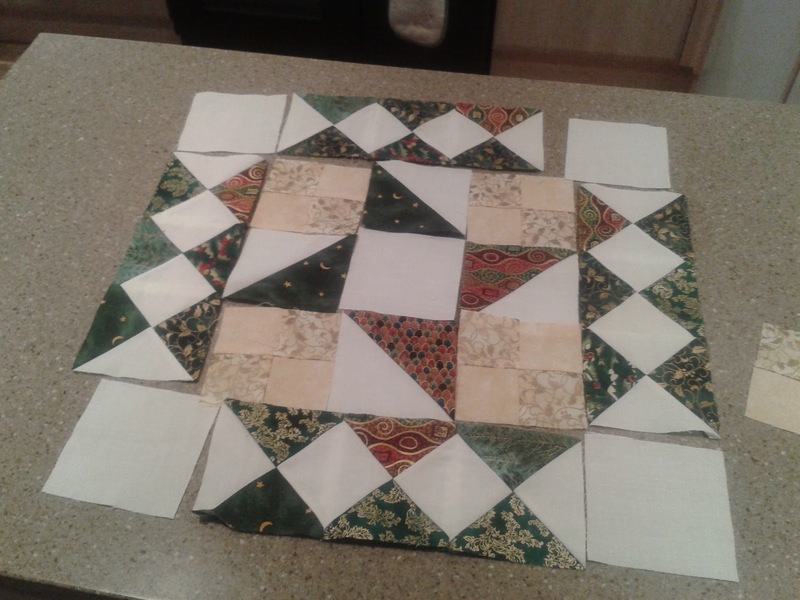 For the Christmas Quiltalong this year (every second Saturday of the month), QuiltSue has designed a mystery quilt for us to make, and she has been dishing out the instructions in instalments via the monthly hostesses since February (Lesley has all the instalments to date on her blog, should you want to play catch up). 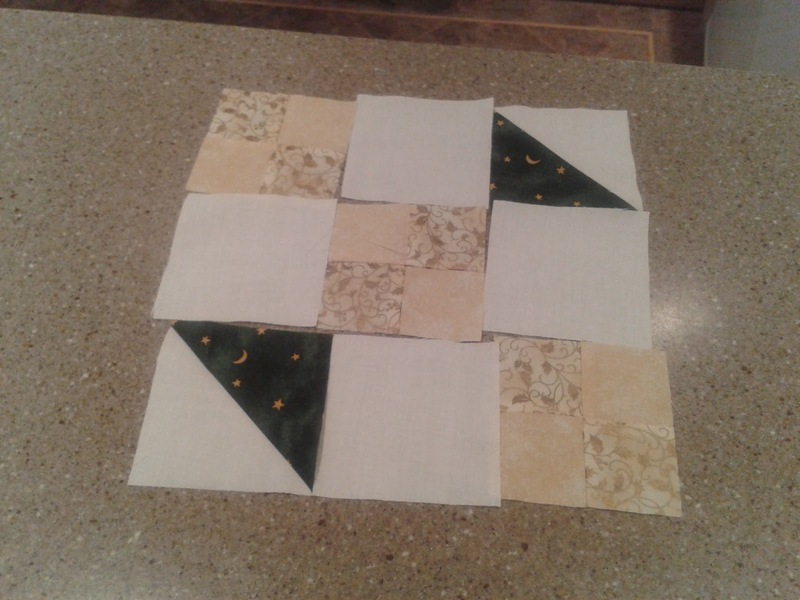 This Saturday (when Paulette will be hosting, welcoming us all to British Columbia, Canada), we will be putting the block elements that we have made up until now together into blocks, and Sue has challenged us all to see if we can guess the layout! I had a play with the block elements this evening. 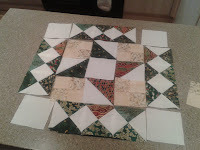 I know that the blocks will be 9" finished, and the overall quilt size, but not how many blocks that includes, or what in the way of borders are planned. 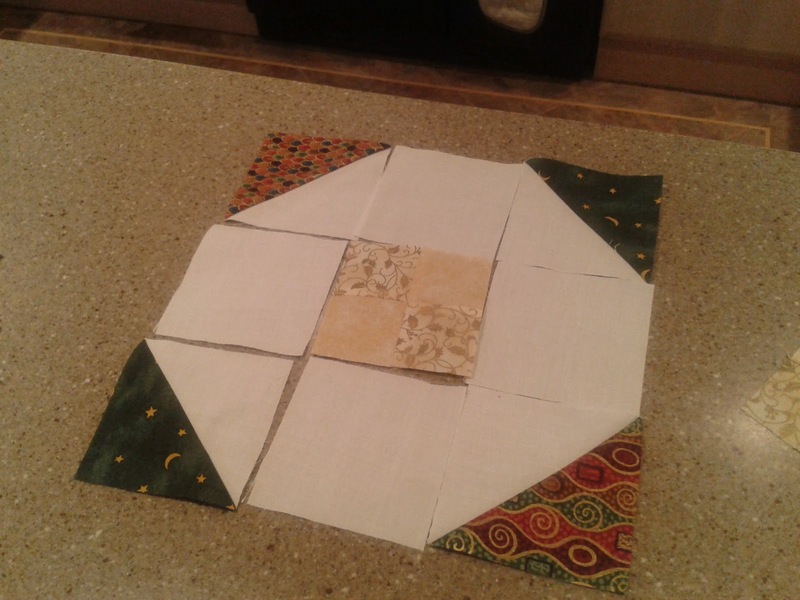 I have a headache now - thank you for this glimpse into quilt block design, Sue, but I think that I will leave it to the experts in future! See what everyone else has guessed by coming to the Mr Linky party at Sue's, and to see what the real deal is, be sure to drop by to see Paulette on Saturday! There's a rumour of pancakes and maple syrup a giveaway, which if I know Paulette, you are not going to want miss - see you there! You have some very creative guesses! I'm impressed with the variety of blocks you've come up with! Nope, not ugly at all - I love your blocks! You can always have another play...I did! Hazel m'dear, I am loving seeing how creative you are with your blocks. I am also ROFLMAO because I know what Sue's plan is (and no, I'm not telling). Thank you, Hobbit - this is terrific fun, even if it is driving me mad! Your comment made me howl with laughter, Joanna! 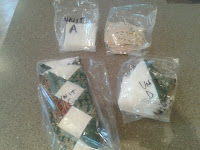 And I have made too many versions - must stop now!! Pancakes? Where did those go? Yum. 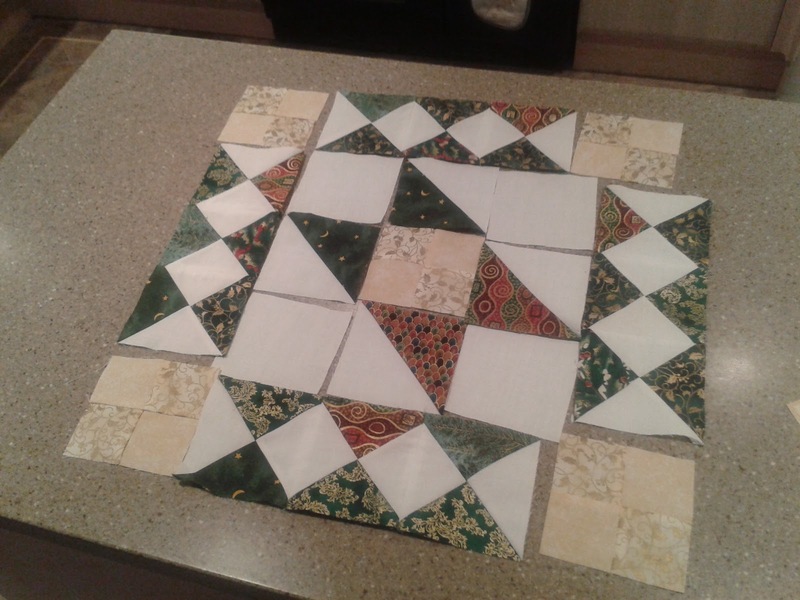 Love your blocks, I think the bottom one is my favorite. I'm just surmising that the most delicious thing that you can ever possible serve with your delightful Canadian maple syrup has surely got to be pancakes...? Hurry up, or I'll eat them all before you get to the party! Thank you, Mrs P - I have been enjoying myself with this!